May 15. With CMS closing Wednesday May 16 because of a mass teacher demonstration in Raleigh, local church members—and teachers—are looking out for needy kids who might go hungry. Volunteers at Mt. Zion United Methodist Church and Davidson United Methodist were packing lunches Monday and Tuesday and delivering them to local schools so that at-risk kids can take food home with them on Tuesday afternoon. The schools identified more than 100 local students at JV Washam, Cornelius Elementary and Davidson Elementary who might otherwise not have enough to eat on Wednesday as teachers travel to Raleigh to protest. According to CityData, 6.6 percent of the Cornelius population reports income below the poverty level vs. 20.6 percent statewide. Volunteers packed Hormel Complete Meals, Mac and Cheese cups , Pop Tarts, cereal cups and Nature Valley Protein Bars. 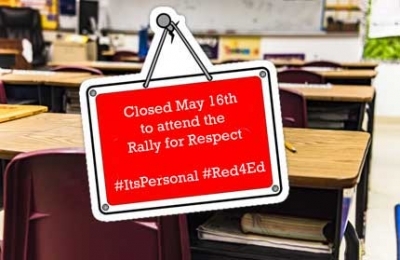 About 1 million North Carolina public school students will not have classes on Wednesday because of an expected exodus of teachers who will travel to the “March For Students and Rally For Respect” in Raleigh. 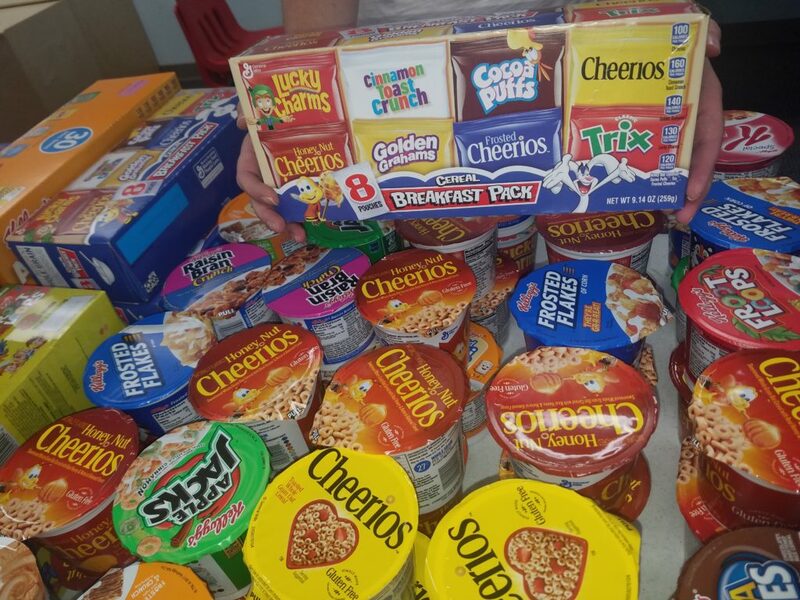 The children who receive the food are confidentially identified by the elementary schools, says Ashley Nydish, Backpack Ministry coordinator at Davidson United Methodist. The ministry at DUMC—there’s a similar one at Mt. ion—provides weekend food to going on 150 children from impoverished homes in Cornelius, Davidson and Huntersville. Nydish, who said Harris Teeters stores in Cornelius and Davidson contributed food for the emergency distribution Tuesday, said food is delivered to Davidson Elementary, 17 lunches; Cornelius Elementary, 30; Huntersville Elementary, 18; Grand Oak Elementary, 8; and Bailey Middle, 40. Teachers say they have an accumulation of grievances, ranging from having to spend out of their pockets to provide for their classrooms to long hours and pay that lags similarly educated peers. In today’s classrooms, teachers may act as much as a social worker or a nurse, as much as a teacher.